Five cars sitting on sharp curve is track 1 going behind packaging building. Tracks 2-12 transload team tracks. Other cars are in GJR's Lower Yard, train is heading south on the main line. This view looking in opposite direction shows sharp curved track number 1 going to packaging building. PDI liquid terminal and headquarters. 256 Victoria Road South. 5 short tracks in terminal. 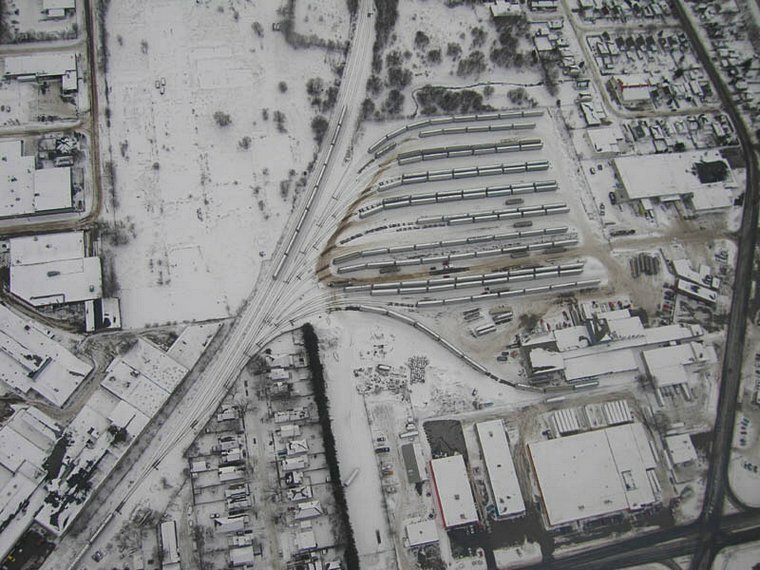 At top of image is the main line and a runaround track to allow switching in either direction. 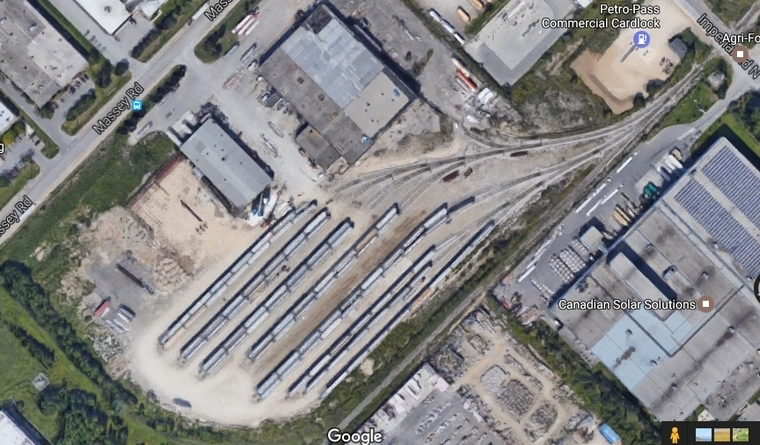 Also, a storage track dead ended (blue box) at far left at York Rd. (7). 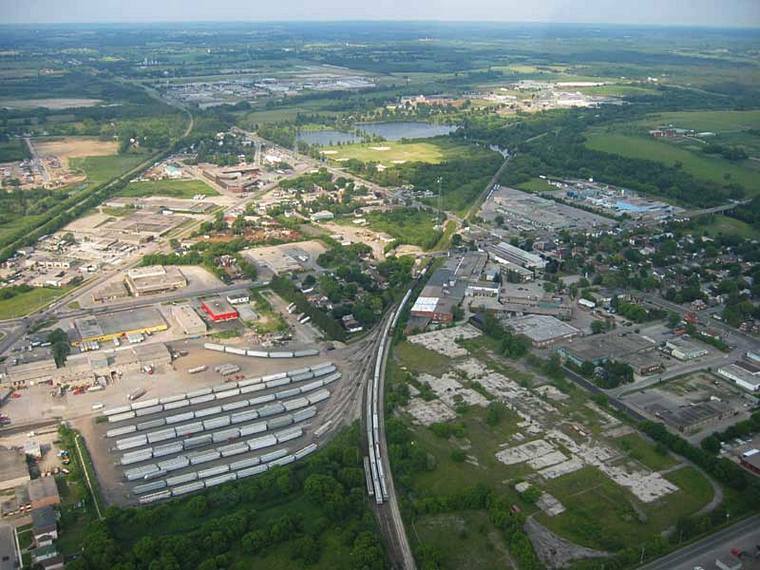 Note: Old trestle over Eramosa River just out of view to the far right of image. 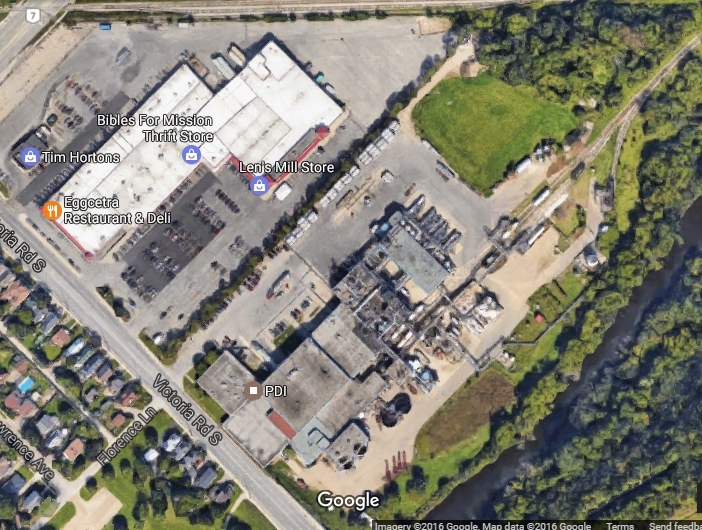 PDI transload facility 240 Massey Road on North Industrial Spur in Joint Industrial area. 13 tracks total capacity c. 90 cars.